Hide deals from seller "Anew Allure"
Hide deals from category "Cosmetic Surgeons"
Click 'Get It' and select $3,500 Toward Liposuction option or $5,500 Toward Liposuction option. Limit 1 per person; may purchase 2 additional as gifts. The $3,500 option may be used for chin, jowls, neck or knees. The $5,500 option may be used for arms, bra-bulge area, lower abdomen, upper abdomen, love handles, hips, inner thighs or outer thighs. Medical procedures may include the use of anesthesia or other medicinal agents. Please ask your doctor before proceeding. New clients only. Additional hospital fees apply. $999 for water-assisted liposuction for the chin, jowls, neck or knees ($3,500 value). $1,495 for water-assisted liposuction for the arms, bra-bulge area, lower abdomen, upper abdomen, love handles, hips, inner thighs or outer thighs ($5,500 value). With 20 years in business, Anew Allure offers cosmetic procedures to enhance their client's look and boost their confidence. 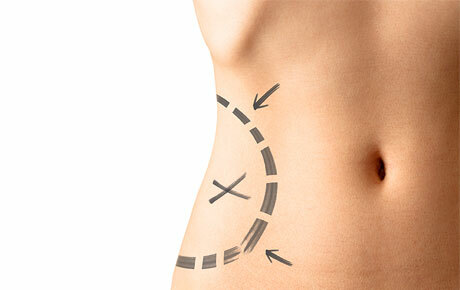 The water-assisted liposuction begins with water jets dislodging fat cells through minor incisions in the problem area. This 1-hour procedure results in minimal bleeding or bruising, and patients can feel a full recovery as early as the next day. Anew Allure offers other safe cosmetic procedures such as breast augmentation, tummy tucks and more. Shape your body with this deal. A business in Elk Grove Village that specializes in minimally invasive cosmetic procedures.